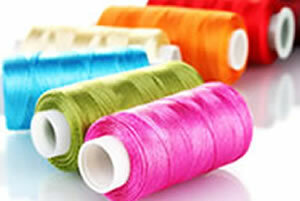 Do you love to sew or wish you knew more about sewing? Do you want to learn new techniques or are looking for inspiration or enjoy getting involved in community projects? Join ASG and the Indy Chapter to meet other like-minded members from the greater Indianapolis area and open yourself to a whole new world of sewing! With 25 local neighborhood groups we are sure to have a group near you. In fact, you are invited to attend any Neighborhood Group meeting before joining the American Sewing Guild to see what we are all about. All levels of experience are welcome. Read more about our Neighborhood Groups here. 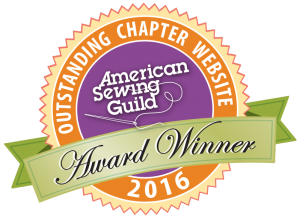 The American Sewing Guild was initially started in 1978 with the Indianapolis Chapter and the Denver Colorado Chapter! This is where it all started! Ladies, it’s Facebook Photo Contest time again! Post your photos to the Indy ASG Facebook page for your chance to win your ASG dues paid for one year. The winner of this contest will receive her dues paid for one year. The contest runs from April 1 through June 15, 2019. The ASG member posting the most photos on our Facebook page will be our winner. What a great way to share your ASG experiences with a chance to be our winner! Don’t delay – start sharing your photos now. November 3, 2018 annual meeting photos taken by Mary Jo Greenwood. Thanks, Mary Jo! We are now enrolled in Kroger’s charitable giving program called Community Rewards! Please follow the directions below, sign up, & link your Kroger Card to American Sewing Guild Indianapolis Chapter. This is really fast and easy. Linking your card will not cost anything and will not increase your grocery bill. Kroger puts money into a fund for us every time you swipe your Kroger Card. The funds we receive will be used for our community service projects. 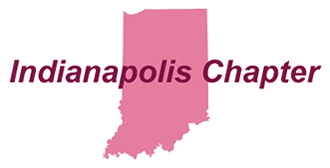 Search for AMERICAN SEWING GUILD INDIANAPOLIS CHAPTER (or search for AH634). To participate, you must have a Kroger Card & an account. If you don’t have a card, you can get one at the customer service desk. Use your card the same day you pick it up to begin saving money on your purchases. You do not need an account to use your card when shopping, but you do need an account to earn money for us. Remember to swipe your Kroger Card (or use the phone number registered to your Kroger Card) when shopping for each purchase to count. Are You a New ASG Member? New ASG members wishing to access this website must wait until they receive an email from Indy ASG with their login credentials before attempting to log in. There is a delay from the time you sign up at ASG to when we receive notice of your membership. Once we are notified, we will create an account for you on this site and you will receive your login information. We wish it were instantaneous, but unfortunately it is not. During the first quarter of 2019, 1143 items were sewn by members and donated. For the latest Stitching Line newsletter (members only), please log in to access. Click on “Newsletter Archives” in the left side panel. Newsletters are published 4 times a year: January/March, April/June, July/September, and October/December. Publication dates are March 1, June 1, September 1, and December 1 respectively. Submissions and articles are due 15 days before publication date. Search for ‘INDY ASG’ on Facebook to find us. Show your sewing photos, ask questions, share your thoughts. JOIN the GROUP!! This group is for the benefit of Indy Chapter ASG members to share our sewing news and experiences. Fashion show, shopping, education, tours, luncheons, etc. Make your DoubleTree by Hilton Boston North Shore reservations now on ASG's national website. Our very special speaker will be Heather Givens, owner of Crimson Tate. Vendors. Fashion show. Door prizes. Details & registration will be announced later.